Attoe-Watson & Company, Inc. has been in existence for over 40 years. The company founder, Roth C. Watson, is a retired City of Madison Police Detective. Later, Roger C. Attoe, also a retired City of Madison Police Detective joined the agency. Together, these two individuals had well over 50 years of combined law enforcement experience. Today, Steven Watson is president of the corporation. 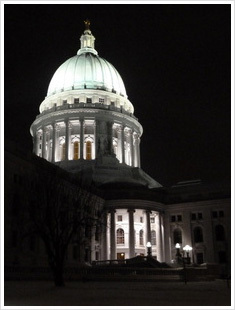 Mr. Watson has been a licensed private investigator in Wisconsin for over 30 years. Our agency provides investigative services to insurance companies, attorneys, government agencies, businesses, and private individuals. We conduct investigations on criminal as well as civil matters utilizing state of the art techniques and equipment. Our experienced security consultants can advise you or your organization about access control, video and alarm systems, as well as physical security personnel recommendations for your facility. We provide corporate training for general employee safety and security in addition to industry-specific security threats. We also offer Service of Process to all of our legal and corporate clients. Our investigators and security officers are licensed, professional and well trained. Many of them have law enforcement training and experience.